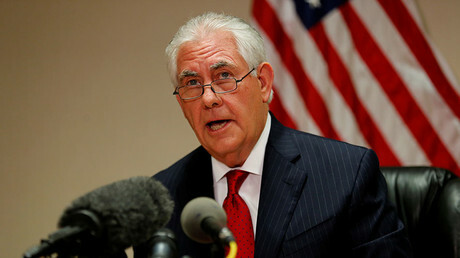 The Trump administration is reviewing US policy towards Iran, Secretary of State Rex Tillerson announced, accusing Tehran of sponsoring terrorism and violence and destabilizing numerous countries in the Middle East. “An unchecked Iran has the potential to travel the same path as North Korea ‒ and take the world along with it,” Tillerson added. He accused Iran of continuing to support the “brutal Assad regime” in Syria with weapons and money, as well as Revolutionary Guard troops. 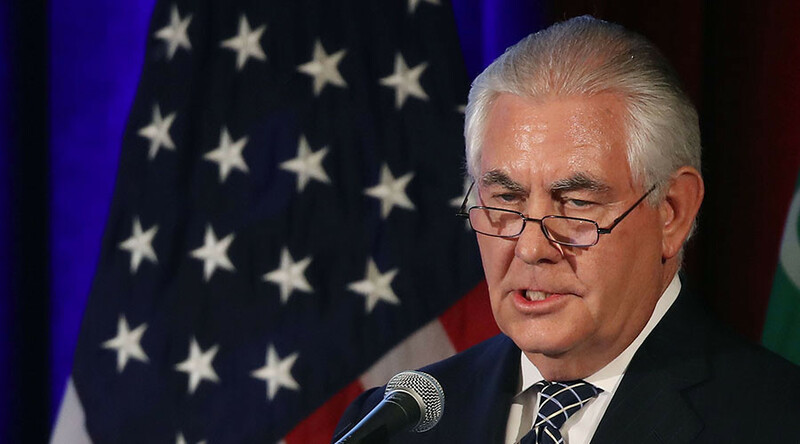 Tehran also supports the Houthis in Yemen, threatening the southern border of Saudi Arabia, while the Iranian-sponsored Quds force has been “undermining security in Iraq for years,” Tillerson said. Iran also “maintains a long-standing hostility towards Israel, providing weapons, training and funding to Hamas and other Palestinian terrorist organizations,” said the secretary of state, citing reports that Iran displayed a missile inscribed “death to Israel” during a military parade on Tuesday. “A comprehensive Iran policy requires that we address all of the threats posed by Iran, and it is clear there are many,” Tillerson said. Earlier on Wednesday, Defense Secretary James Mattis also accused Iran of seeking to destabilize the Middle East. "Everywhere you look if there is trouble in the region, you find Iran," Mattis told reporters in Riyadh, after meeting senior Saudi officials. "We will have to overcome Iran's efforts to destabilize yet another country and create another militia in their image of Lebanese Hezbollah,” he added, “but the bottom line is, we are on the right path for it." Mattis is visiting Saudi Arabia, Egypt, Israel, Qatar and Djibouti as part of a week-long Middle East tour.